Math centers made easy! 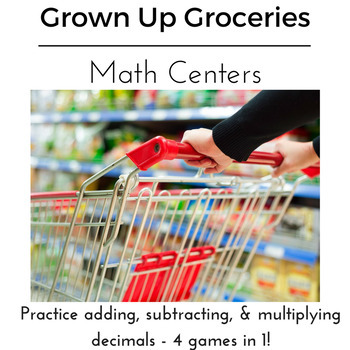 Practice adding, subtracting, and multiplying decimals as students learn how to be a "Grown Up" and buy groceries on a budget. With one download you can practice three math standards cutting down on teacher prep and increasing engagement in the classroom! This is a pre- made game that is perfect for math standards, unit review, and test preparation.